On arrival you will be introduced to your instructor and have a short pre-flight briefing to discuss the route that you wish to follow ( subject to time constraints and local flight restrictions). 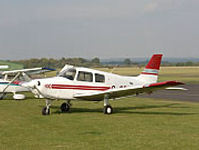 At the end of the flight you will receive a certificate of flight from your instructor. One person permitted to accompany you on the flight - they will be able to take photographs (and offer advice) from the back seat!